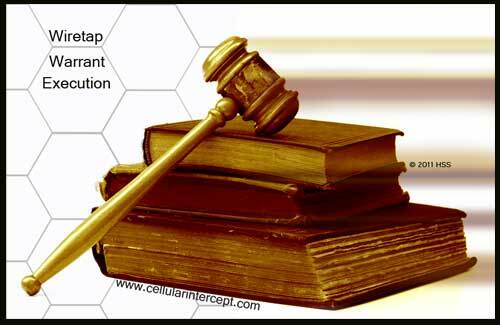 HSS developed Cellular Intercept hardware and software solutions with Wiretap Warrant Execution in mind. Our experience with Police agencies have given us the know-how about what officers go through when trying to get approval for lawful intercept. In order to meet the demand for Law Enforcement execution and compliance for wiretap warrants, we offer our guidance on how to capture cell phone calls through Cellular Interception. HSS Cellular Monitoring technology in the 1980’s and 1990’s provided solutions to difficult cellular intercept scenarios. As a result, HSS' past experience has increased as the ability to solve issues of Communications Intelligence have risen. When cellular phone wiretap warrants are issued, all forms of government (from municipal and state investigators to federal agencies) progress in their intelligence gathering requirements. As a a result, we have expanded our system architecture to incorporate new capabilities of voice and data Cellular Interception features. In addition, HSS understands the needs to store intercepted cellular evidence. HSS meets the requirements for cell phone calls to be captured (with audio logging and archiving features) in the event that evidence is required for criminal prosecutions. To learn more, Law Enforcement Agencies and their respective vendors may Contact Us.